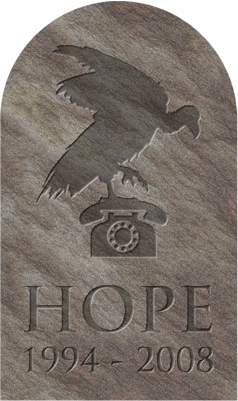 The very first of the speaker slots for The Last HOPE have been announced with many more to come next week. We have had more submissions than ever and will need to add an additional track in order to accommodate the best of them. What follows are some of the highlights to date. Steven Levy, author of Hackers: Heroes of the Computer Revolution and chief technology writer and a senior editor for Newsweek. Adam Savage, co-host of the popular TV show Mythbusters and "a maker of things." Kevin Mitnick, "the world's most dangerous hacker" in the eyes of the government and mass media, imprisoned for over five years, and now a successful computer security consultant. Jello Biafra, a tradition at the HOPE conferences, former lead singer of The Dead Kennedys and one of America's most interesting social activists. These five speakers are only the tip of the iceberg. By the time the dust settles, we expect to have over 100 presentations in four tracks. While time is now quite short, if you feel you have an amazing talk idea or panel suggestion, you can still email us at speakers@hope.net. We will try and schedule as many good talks as we can cram into the weekend. The Last HOPE will take place from July 18-20, 2008 at the Hotel Pennsylvania in New York City.